Mathematics is a challenging area of study for many children with learning differences. It requires the memorization of facts and formulas, the use of data in complex ways, and an ability to think abstractly. Centreville Layton School brings a hands-on approach to the teaching of mathematics, introducing students to mathematical concepts through direct instruction and real life examples. The development of mental math skills is stressed, with expectations being set according to each student’s strengths and areas of needs. Centreville Layton School has adopted JUMP math as the curriculum of choice. JUMP math is a program designed for students with math anxiety and has many features that we feel cater to the wide array of our students. 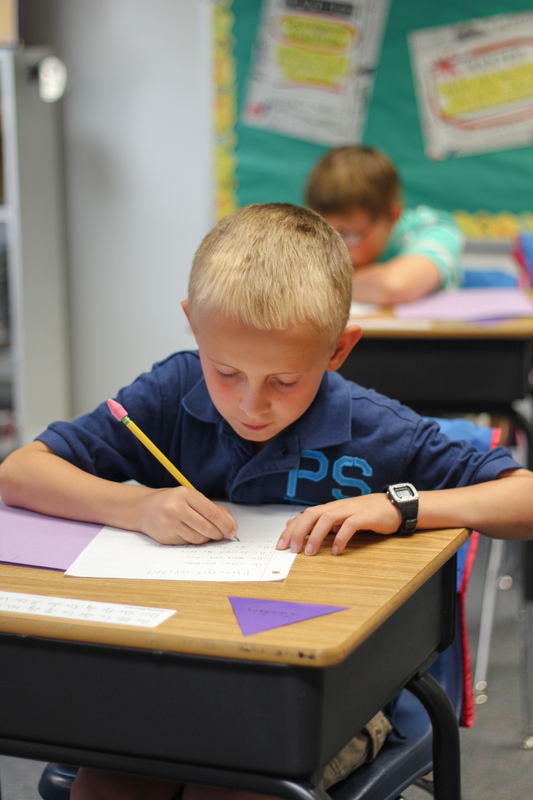 Students work on a variety of mathematical concepts in order to prepare them for later grades. The program features SMARTboard lessons directly aligned with the lesson being presented, as well as with student workbooks. This allows us to take advantage of the technology present on campus while keeping students engaged using multi-sensory lessons.